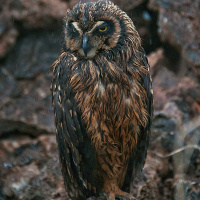 The Galápagos Short-eared Owl is a medium-sized owl with small, often concealed ear-tufts. 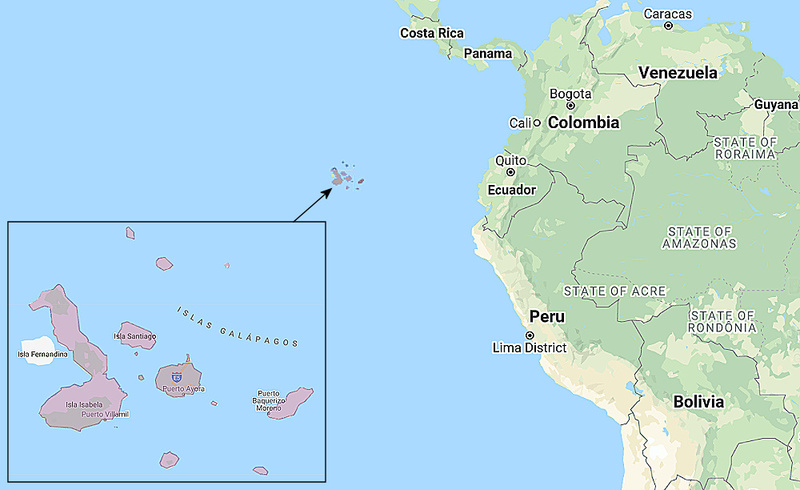 Distribution: Endemic to the Galápagos Archipelago, about 1000km east of Ecuador. Original Description: Gould. 1837. Proceedings of the Zoological Society of London, pt. 5, no. 49, p. 10. 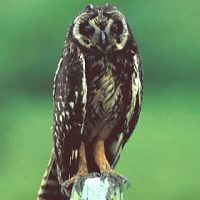 See also: Other owls from South America, Genus: Asio. Page by Deane Lewis. Last updated 2016-02-06.